Exeter Memories normally covers places within the boundary of the modern city, apart from the canal, which was built by the city forefathers. 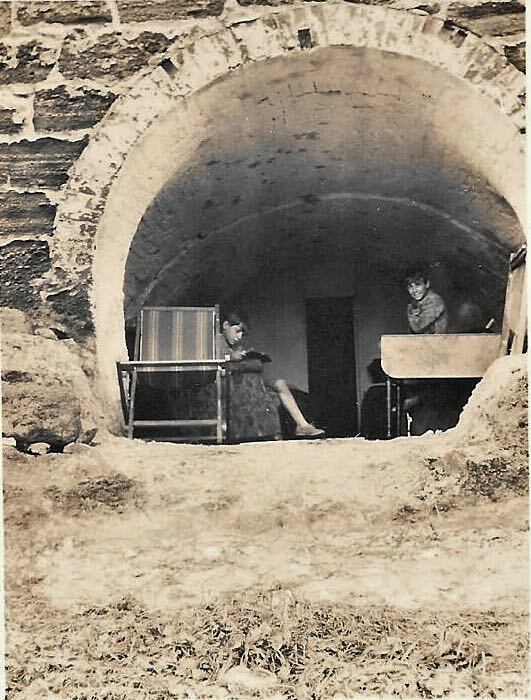 This article about Exminster Lime Kilns is included because many Exonians remember the kilns, and because they were on the bank of the canal. An abstract of title in the National Archives, dated 1808, for a leasehold for Kiln Marshes, Exminster, covers agreements between 1682 and 1802, for the Palk family. It is probable that two lime kilns had been burning lime for a hundred and twenty-six years up to 1808. A year later and the lime kilns were to be improved. Sir Lawrence Palk of Matford House, Haldon agreed to build for Thomas Trood, of Matford, two new lime kilns. Trood was to pay him £8 for every £100 spent, as an annual rent, for the term of the lease. Thomas Trood lived at Trood House, a former hotel, and now the headquarters of the Heavitree Brewery. He not only leased the lime kilns, but a large acreage of Exminster and Alphington. The kilns were variously known as Exminster Lime Kilns and Matford Lime Kilns. They are also occasionally known as Countess Wear Lime Kilns, which is confusing as there were lime kilns in Countess Wear itself. 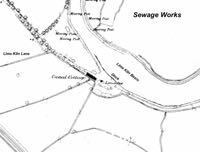 There was also a lime kiln at Gull Pitt, on the opposite side of the River Exe, and at Topsham. In 1819 an advert listed the lime kilns as comprising four kilns, sheds, stables, and a cottage. There was also a dock on the canal, and four acres of salt marsh. The most common event at, or near the kilns, were drownings–many accidental, and some suicide–far too many to cover in this short article. 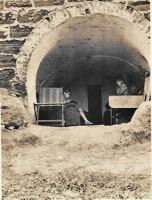 However, in trawling the local papers, other events occurred were documented at the kilns. In 1834 a Guernsey cow belonging to the foreman of the kilns was taken, killed and the carcass half flayed. It was thought to have been an act of revenge, as the animal was not fit for consumption. Mr Trood offered a reward of £10 for the apprehension of the culprit. Lime was used for making cement, and as a soil improver in agriculture. 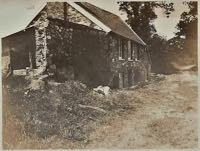 The latter use was subject to a toll by the Exeter Turnpike Trust. In 1853, the current Mr Trood suggested that the tax be repealed at a meeting of the Trust. He stated that various types of manure were exempt , but lime was not. Upon reflection, the Trust did not lift the toll. Lime and stone merchants were targeted in a To Let advert in 1876. When researching a topic, other interesting snippets are often found, and researching the lime kilns is no exception. It was proposed by the City Corporation, in 1878, to purchase the the gas works at Haven Banks from the owners and close it down to move it to a new site. The proposed site was Kiln Marsh, which included the lime kilns, and dock on the canal. There was much discussion in the papers as to whether this was a good thing. It was agreed that the present gas works produced unpleasant pollution, but the cost was the main reason why the idea did not go ahead. It is interesting to speculate how the city would have changed, if the gas works had been relocated to Exminster Marshes, much heavy industry would have followed, and the area below Countess Wear Bridge would have become an industrial area. 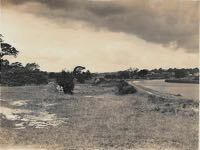 It is still salt marsh, a wild place little spoiled by humans, and is much loved by many. The Pepperell family who worked as limeburners at the Lime Kilns, first appear in the newspapers in 1882, when Charles Pepperell was called as a witness by the coroner for a drowning of a 15 year old girl. His father, John Pepperell, also a lime burner, was killed by a train at the crossing in Exminster in 1891–the inquest was held at the Railway Hotel, now known as the popular Swan’s Nest. 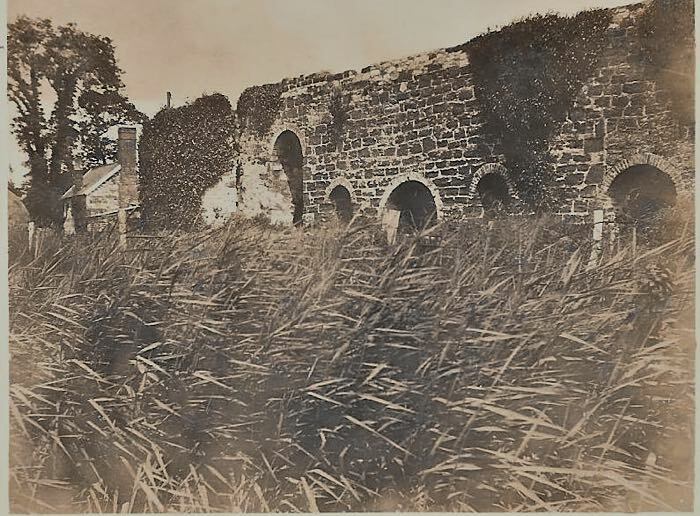 Colonel Trood, was the last of the family to own the lime kilns, when he died in 1895. Thus, in 1897 much of the Trood estate was put up for sale, and the lime kilns and surrounding land was sold to Mr J Sampson for £1,200. There is no record when lime burning ceased at the kilns– it may have been before the Great War, or during the war. Pepperel's son joined the army, got married and had his first child by 1917. In 1918, a party of wounded soldiers were taken by boat to the lime kilns, where they played games and recuperated. The kilns were no longer burning lime, and the canal bank at that point had plenty of space for egg and spoon races and other activities. 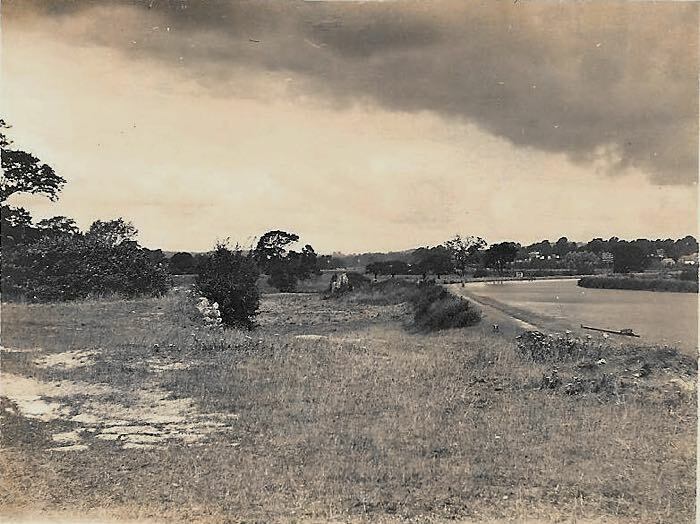 The closure of the kilns was confirmed in 1920 when an advert appeared offering the disused Lime Kilns and 3½ acres of productive marsh for auction–it was suggested it was suitable as a poultry farm or tea gardens. It is interesting to note that George Lavis, a Topsham boatbuilder died at the age of 82 in 1923–it was noted in his obituary that he built the last wooden vessel in Topsham, which was used for transporting lime stone from Babbacombe to the Exminster Lime Kilns. It is not known when George Pepperell left Canal Cottage, but the photos on this page suggest it was still occupied in 1930. 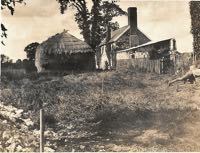 The cottage was offered for sale in 1932 as a compact, freehold small holding along with the “Old Lime Kilns”. The kilns and Canal Cottage have long since gone. However, many locals still refer to the lime kilns on the canal bank, and there is a small carpark just in front of the site, where many depart for a walk along the canal. Sources: Exeter and Plymouth Gazette, Western Times, Western Morning News, street and trade directories, documents in the National Archives. 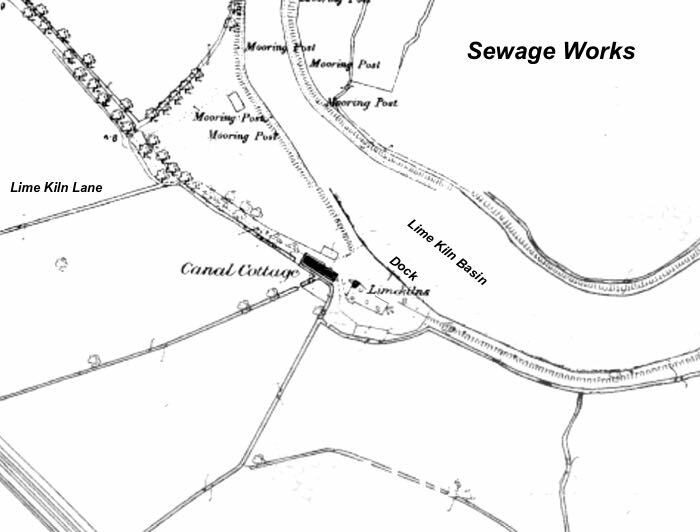 Canal Cottage and the lime kilns are in the centre of the map.